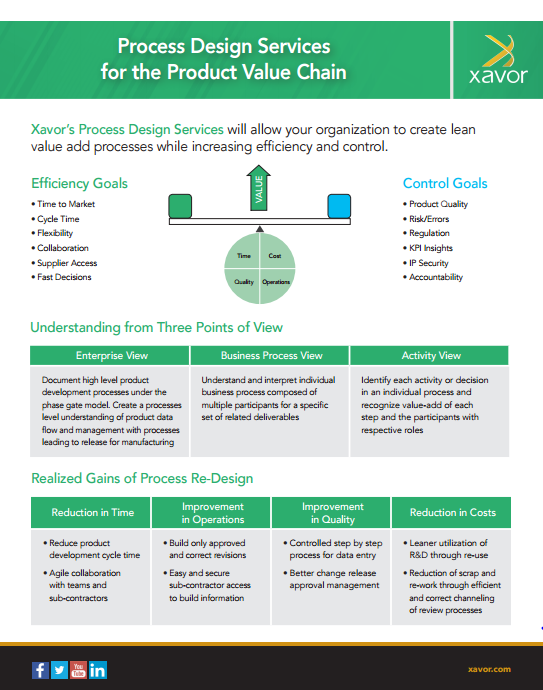 Xavor’s Process Design Services will allow your organization to create lean value add processes while increasing efficiency and control. Are your activities customer centered? Do they get it done correctly the first time? Do you catch waste in the process? Do regulations centered activities slow you? Can touch points and handoffs be reduced? Can information handoffs be reduced? How can you reduce defect processing? Are there legacy non-value add activities? Do the processes leverage best of breed technology solutions? Are your processes lean with only necessary people participating? Analysis, decision routing, to upstream or downstream, sequences, step reduction, information visibility, access.